West Coast Classics are proud to present an absolutely exceptional and simply superb find - a virtually flawless example of this original southern California 1979 TR7 Roadster Convertible in its original striking 'Vermillion Red' (color code CML) factory color paint with it's all original factory 'Carmine Red with Beige Tartan Check Cord' (Trim Code CAAA) interior with a Black soft top and tonneau cover and fully loaded with the rare factory options of a 5 speed manual transmission and air conditioning and with only one fully documented registered California owner since new!. 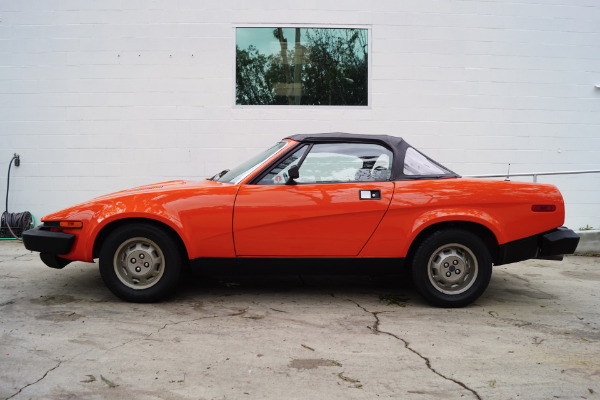 This is obviously one rare and highly desirable classic British sports car - a completely rust free example of the TR-7 roadster! 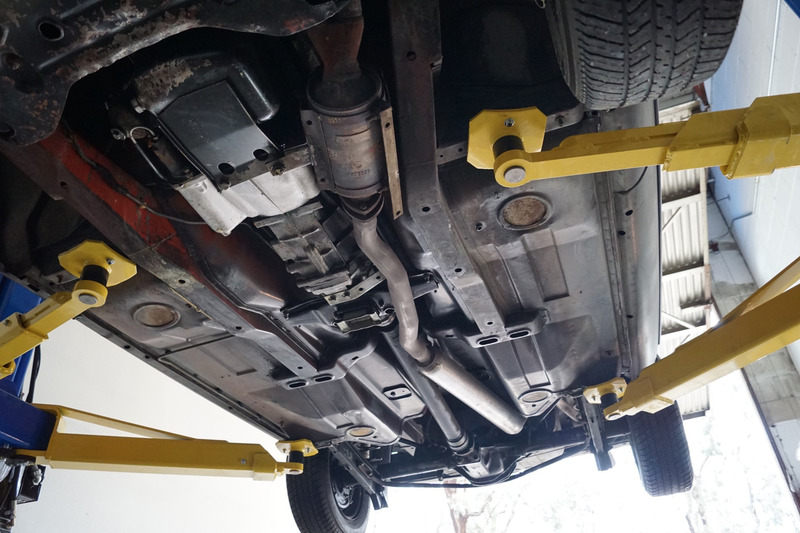 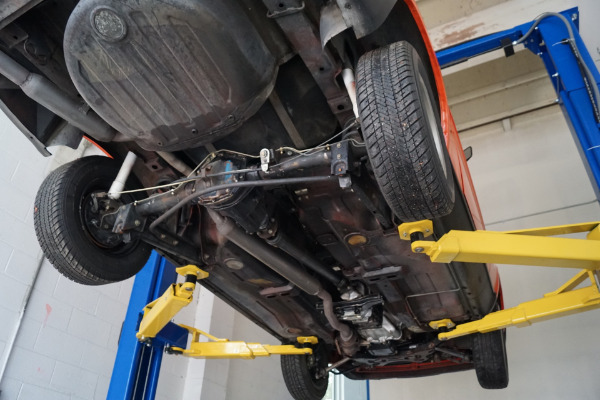 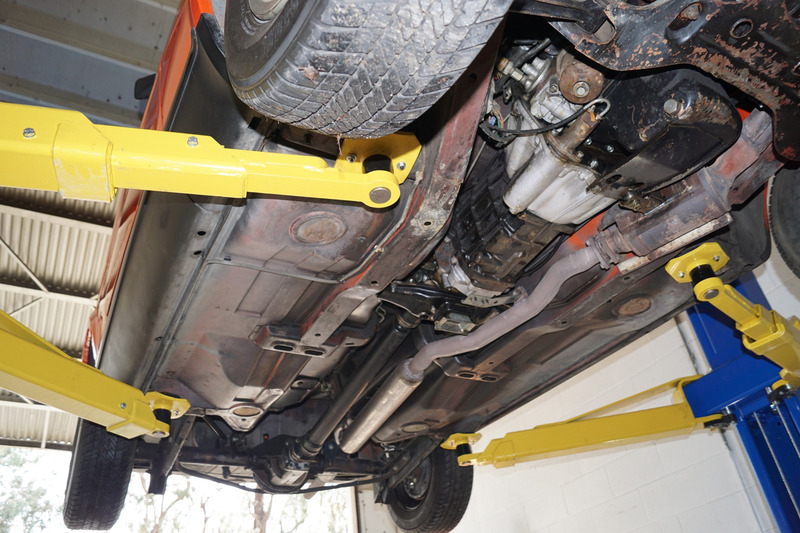 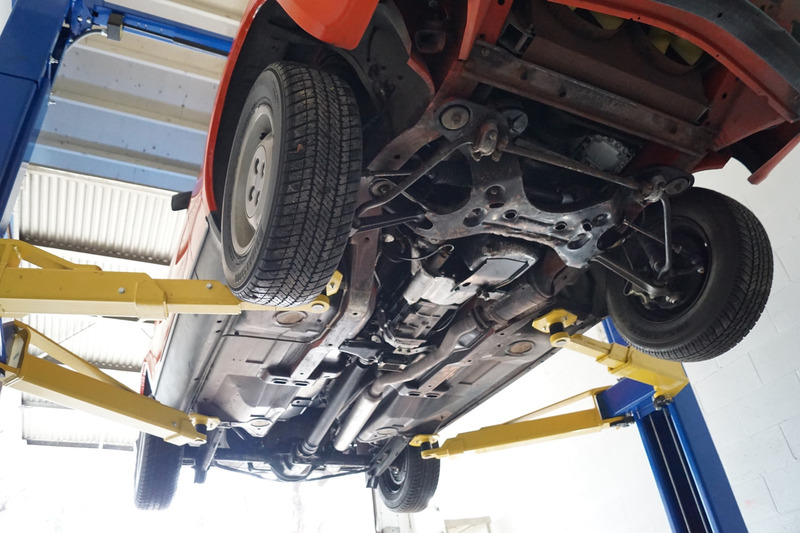 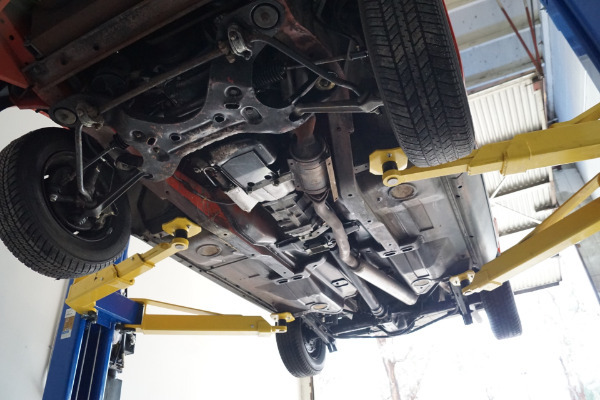 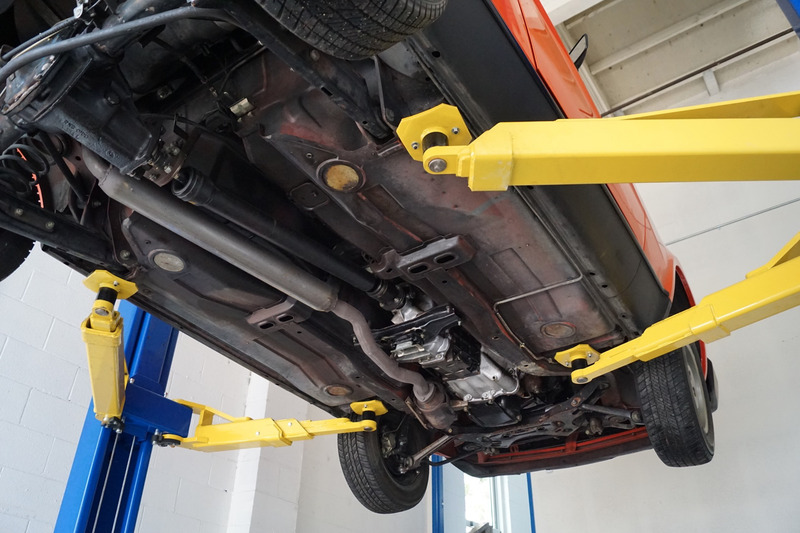 The trunk, floor boards, rocker panels and all the typically rust prone areas are all completely solid and rust free - an obviously always garaged example with no history of any accidents or rust that has survived intact! 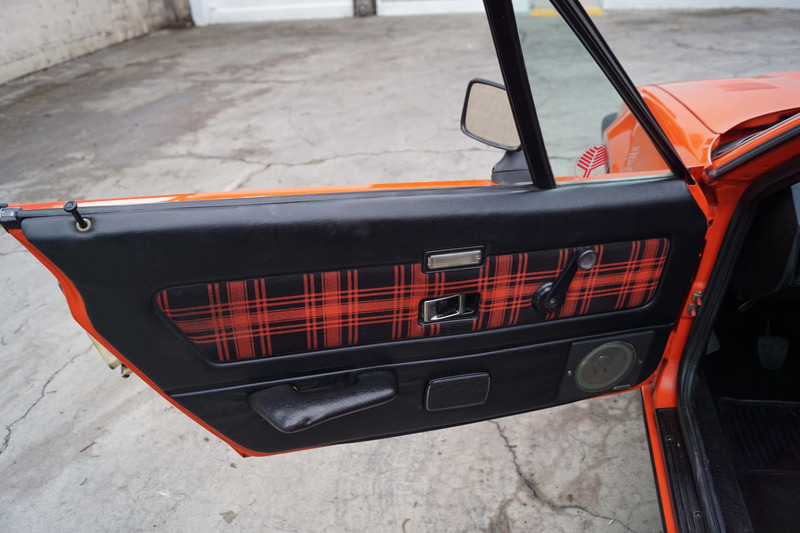 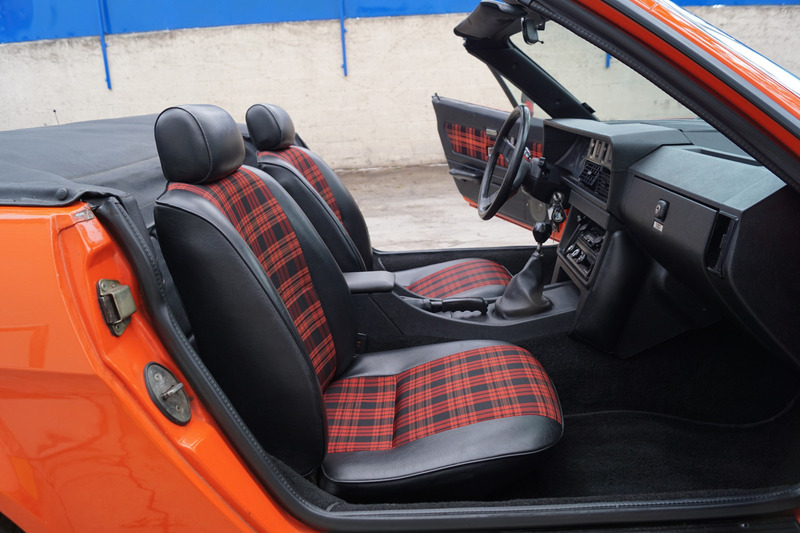 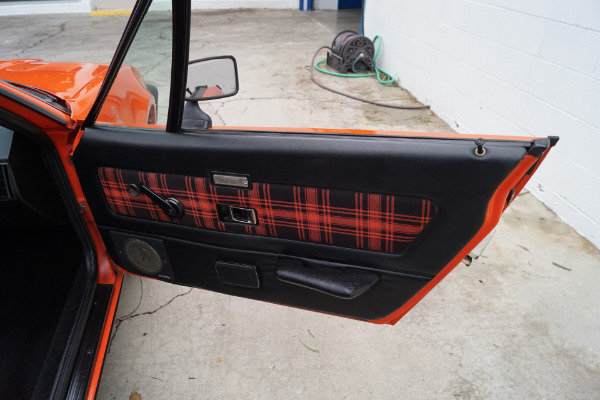 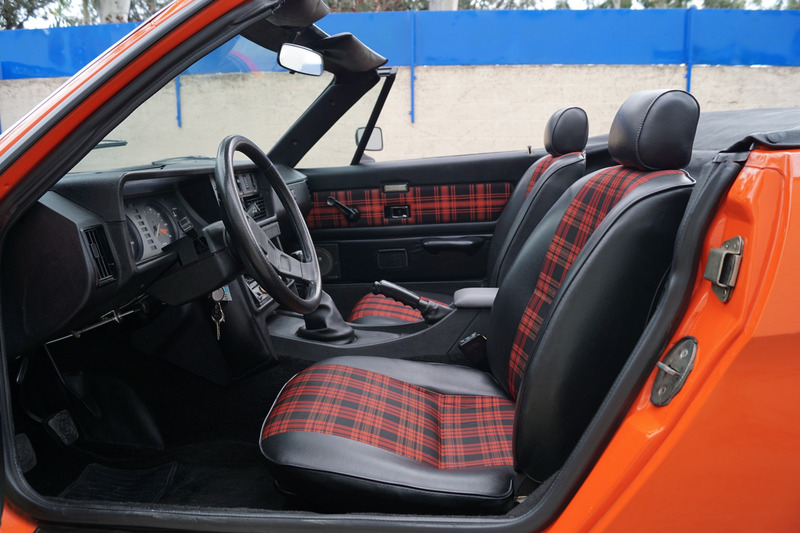 The original 'Vermillion Red' color paint is in simply stunning condition and the striking 'Carmine Red with Beige Tartan Check Cord' plaid livery interior is also quite extraordinary with its original bucket seats and matching door panels, a lovely original steering wheel and perfect dashboard. 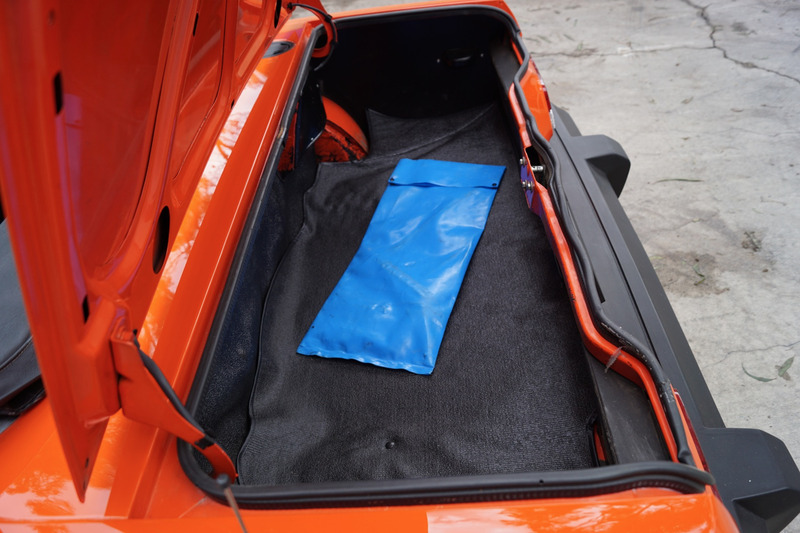 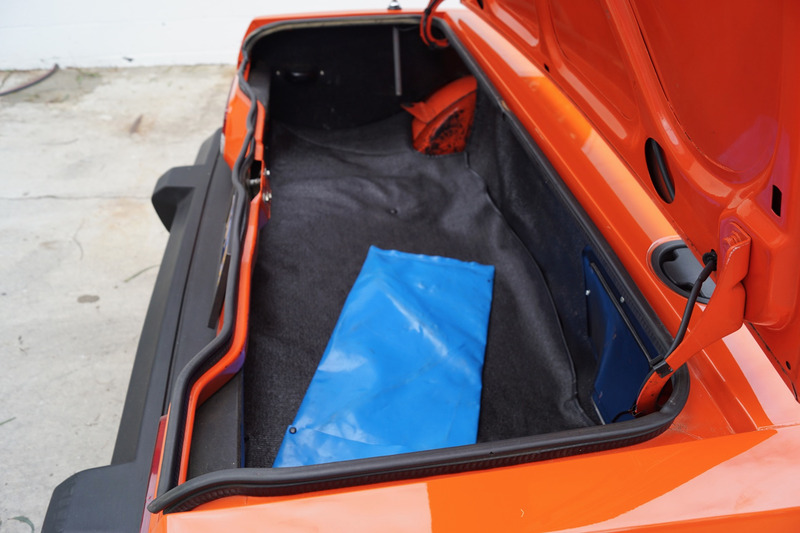 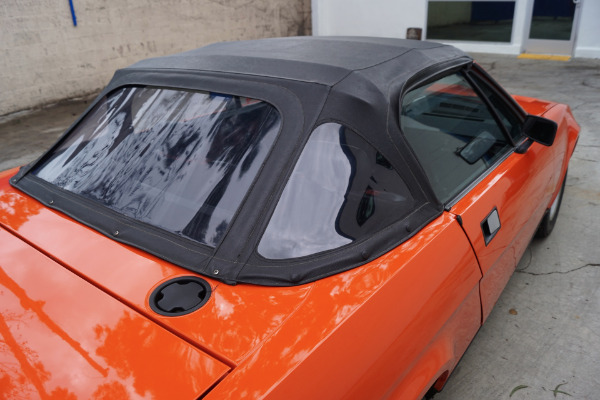 The Black color soft top is as new and the car has its original tonneau cover, original wheels and its original spare wheel its storage compartment in the trunk. The 2.0L 4 cylinder engine purrs quietly under the hood and the 5 speed manual transmission smoothly through the gears - an absolute pleasure to drive! 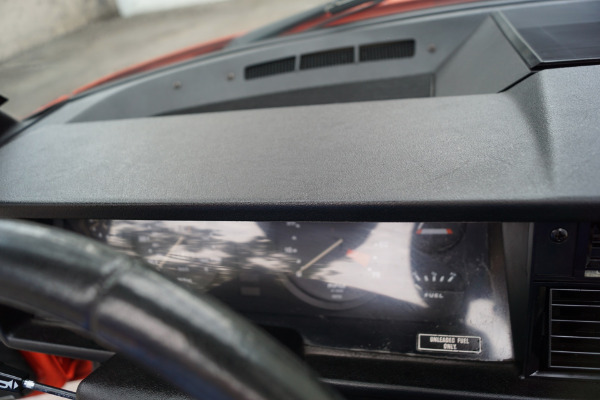 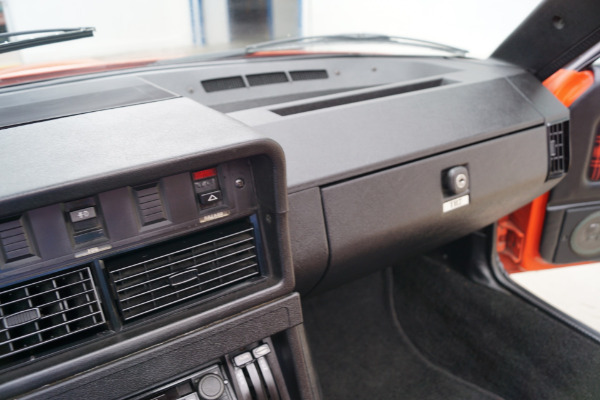 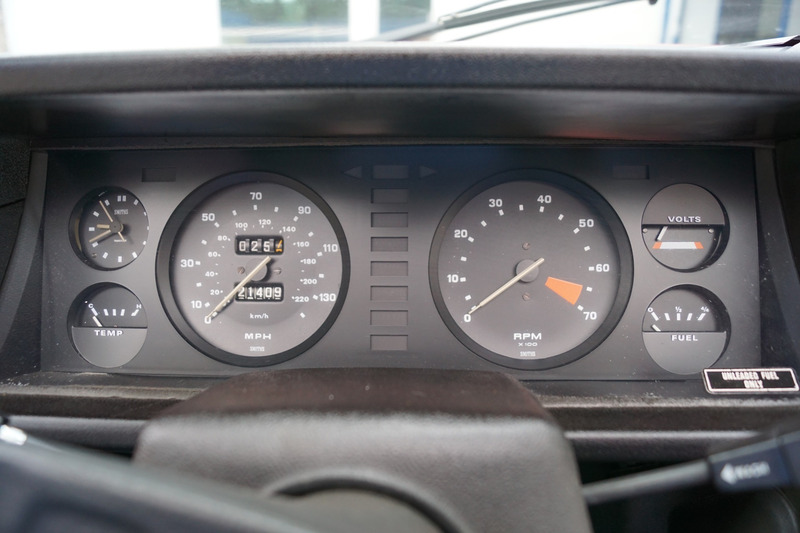 The addition of the optional 5 speed manual transmission to the list of standard equipment was highly heralded as this ideally suited the engine's capabilities at last. Whereas the old 4 speed manual had a 2.56:1 low gear, the 5 speed had a 3.32:1 ratio which when coupled with the 3.9:1 Rover rear end transformed the TR-7 into a whole different breed of animal. 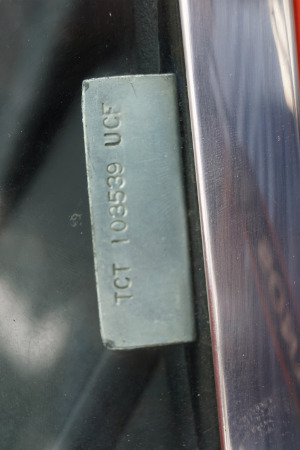 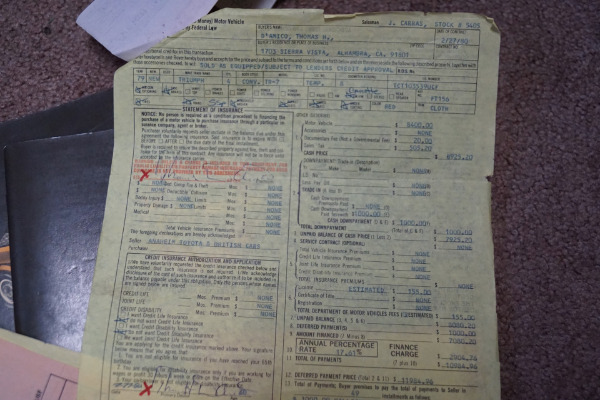 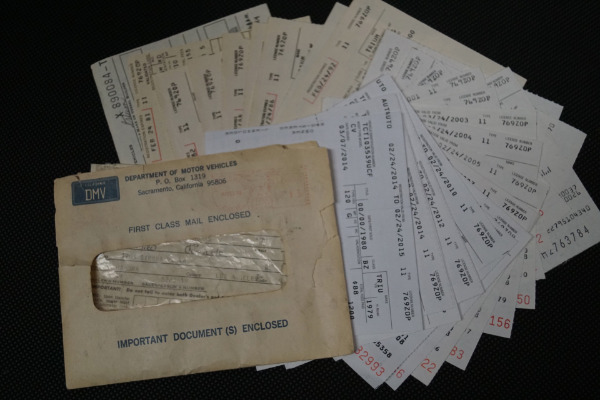 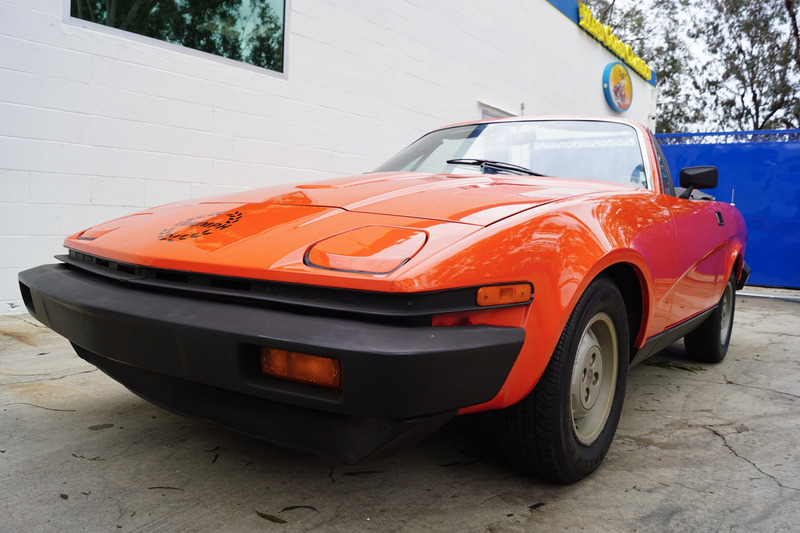 This is a very rare example, recently purchased from it's original southern California ownership with all original owners manuals, purchase order, bill of sale, delivery paperwork, every CA registration from 1979 to present day under the same ownership, all service records, original CA blue plates from 1979 and a recent full and comprehensive service for turn key driving and piece of mind driving for only its second ever registered owner! 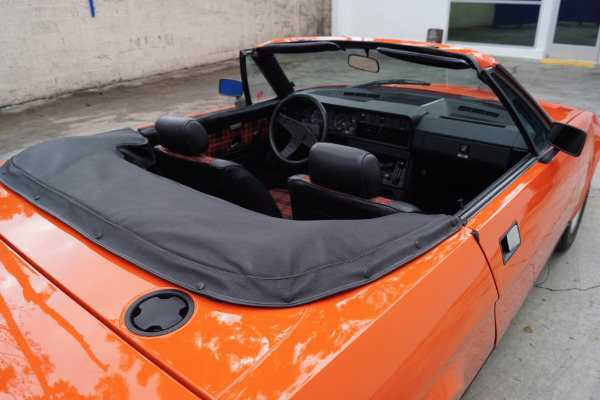 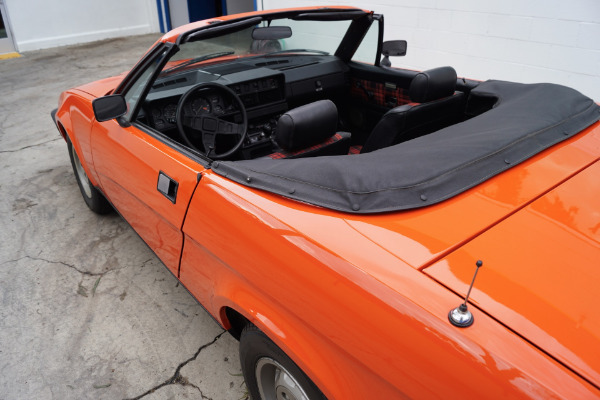 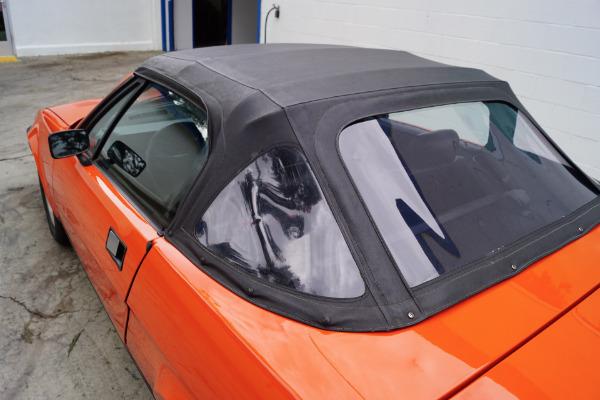 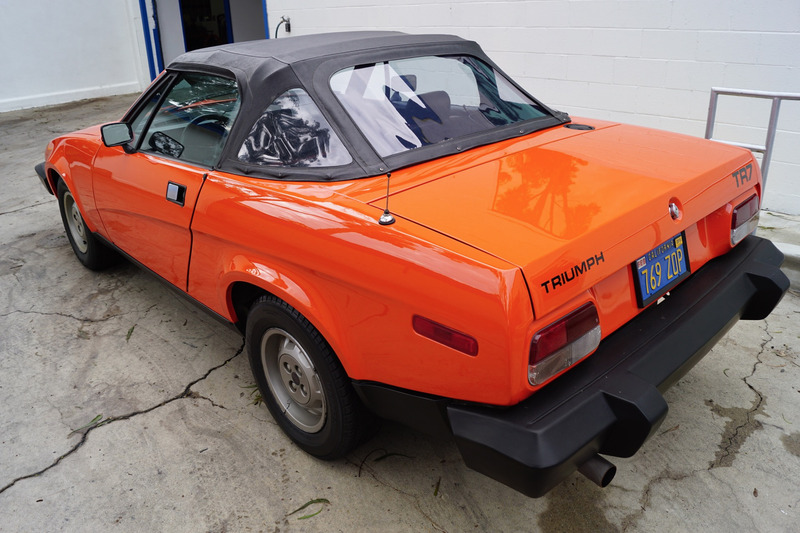 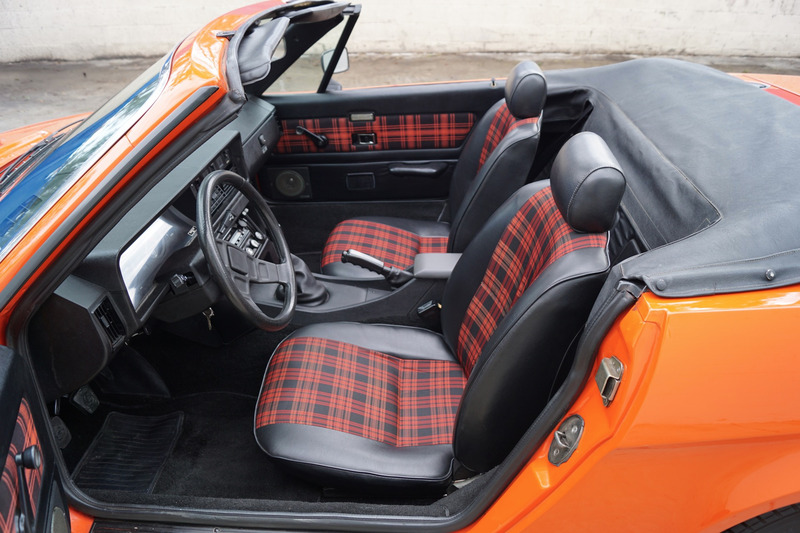 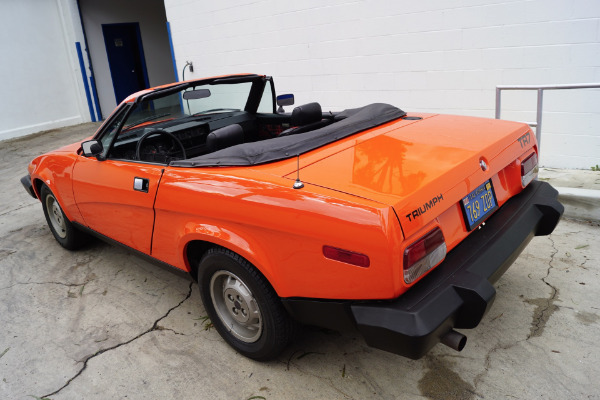 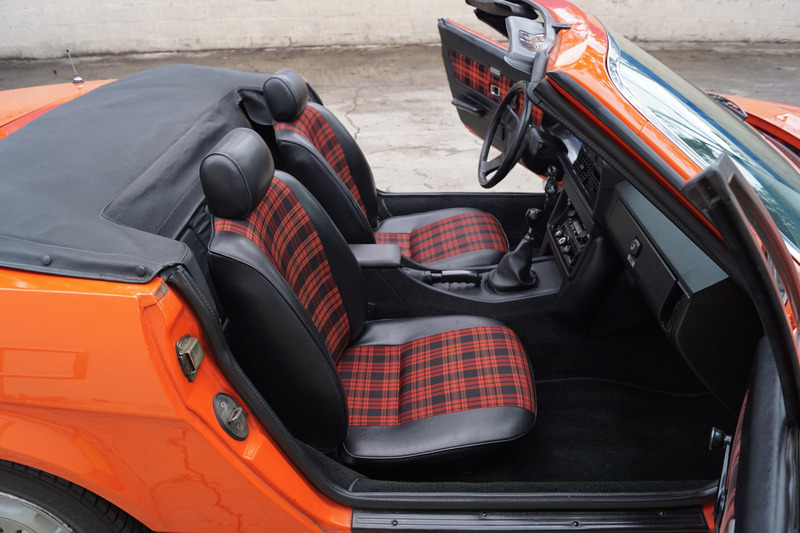 This is a rare opportunity for the British car collector or enthusiast to add what must be quite simply the finest example available anywhere of a late model convertible TR-7 with every conceivable and desirable option and with complete original documentation from new! 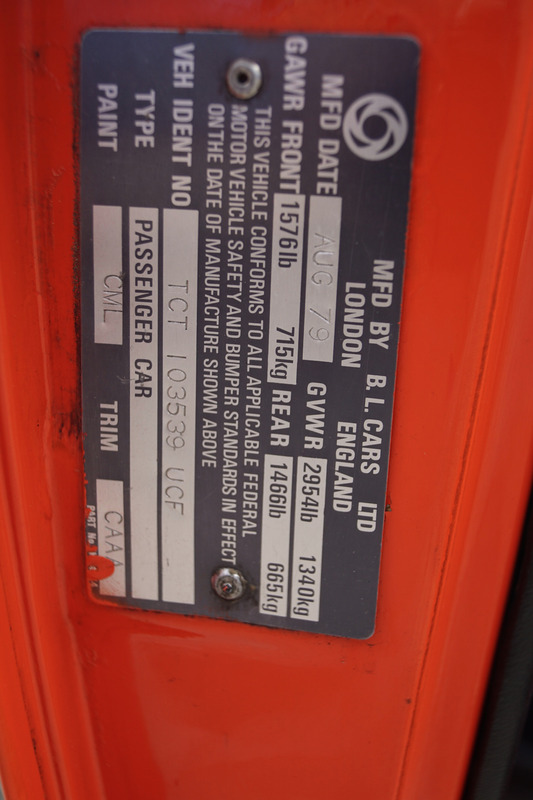 These one of the latest of the up and coming pact of British cars desired by a new generation of affluent collectors and to prove the point Bonhams recently sold at auction an identical, but nowhere near as complete or as well documented an example, and without factory air conditioning, at Scottsdale in January of this year for over $24K!. 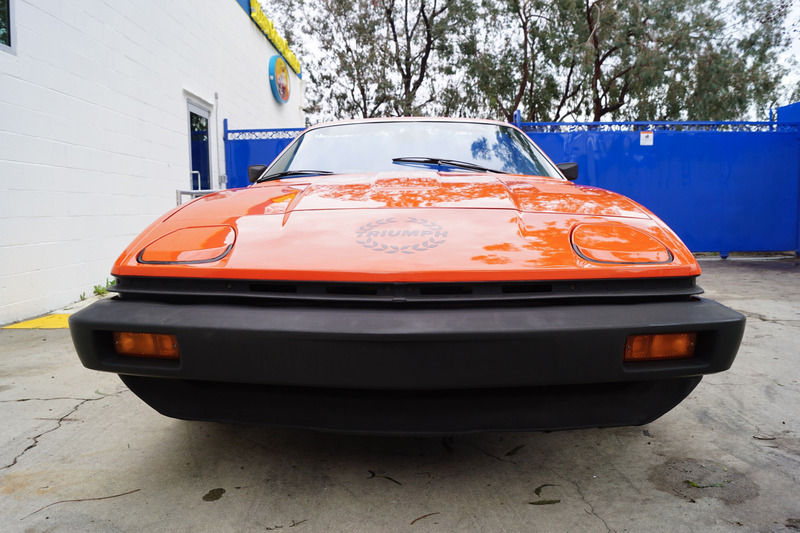 This particular car was purchased new by it's original and only southern California owner at 'Anaheim Toyota & British Cars' of Anaheim, CA on 2/27/1980 with factory air conditioning, the optional upgraded 5 speed manual transmission, power disc brakes, AM/FM cassette, tinted glass, undercoating, bucket seats and a windshield washer. 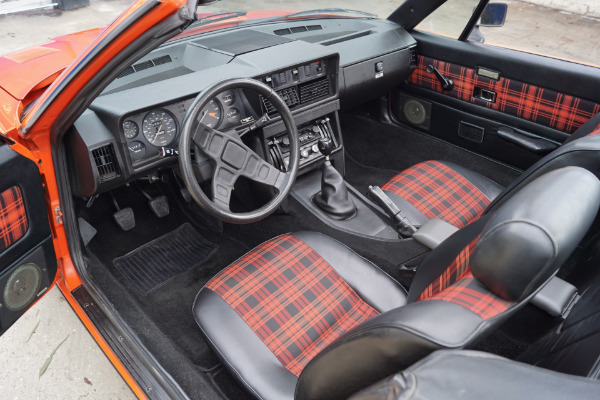 It was sold in 'Vermillion Red' with a 'Carmine Red & Beige Tartan Check' Plaid Livery interior. The car was obviously extraordinarily well cared for, as evidenced not only by it's exemplary condition but also by it's owner's meticulous records and obvious pride of ownership! 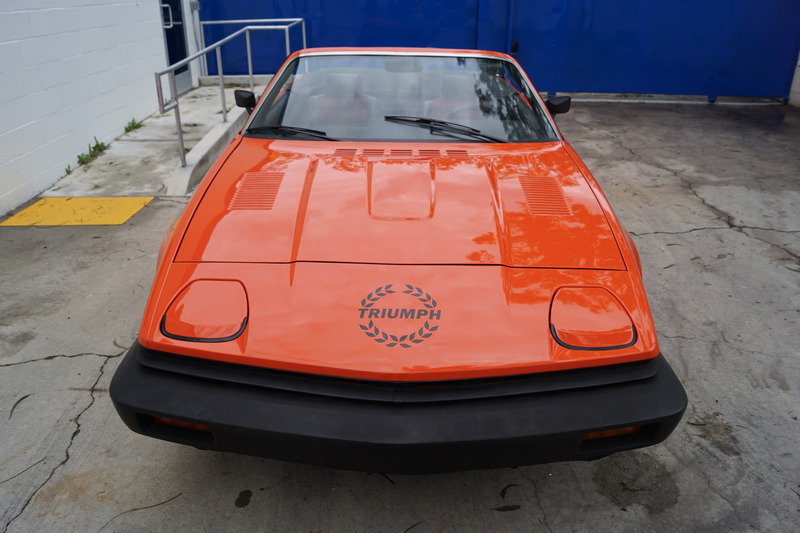 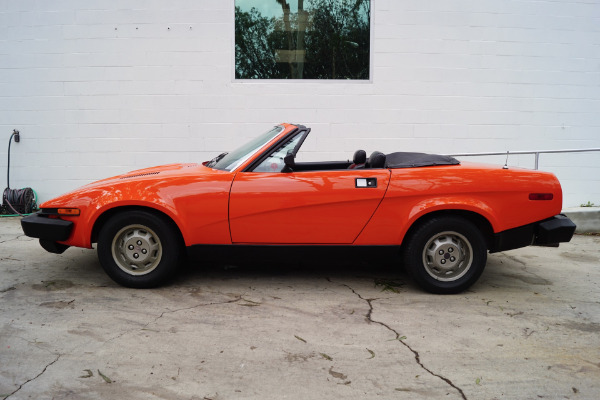 Introduced in 1975, the TR7 marked the Triumph TR sports car's abandonment of its traditional separate chassis. 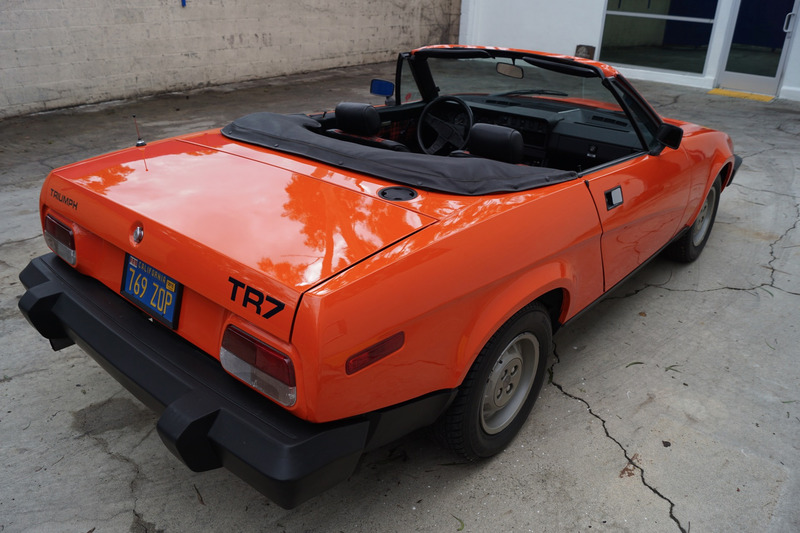 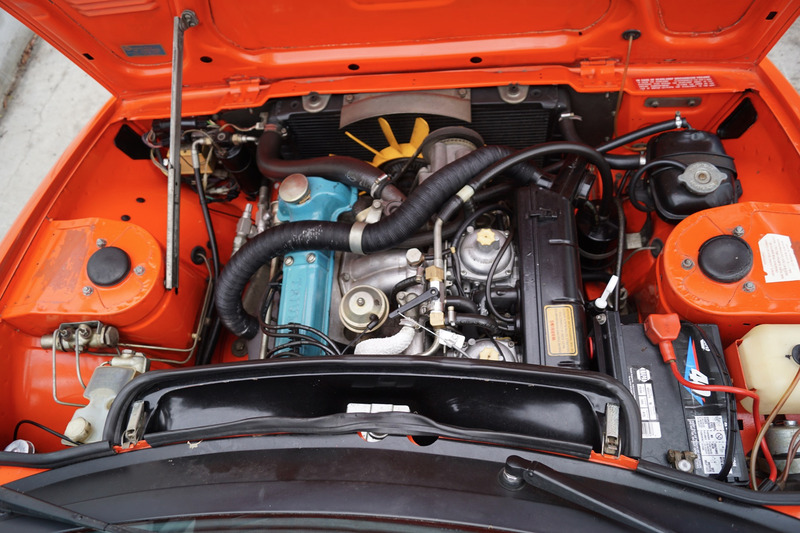 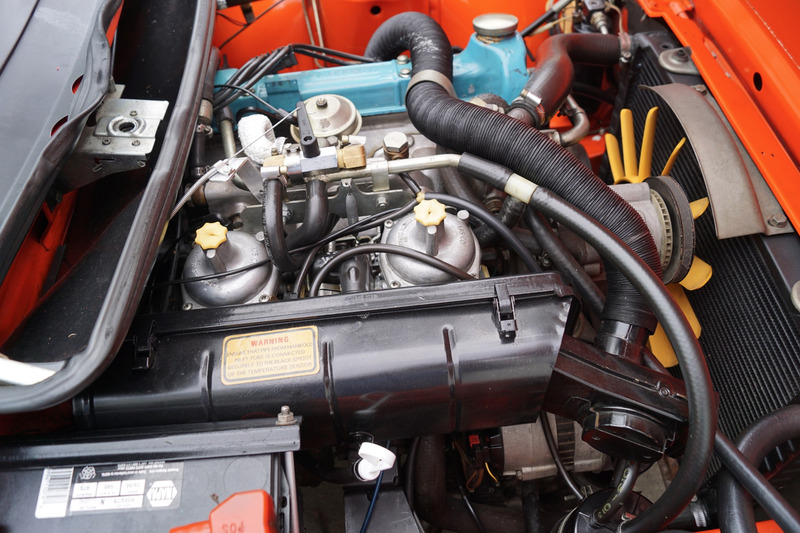 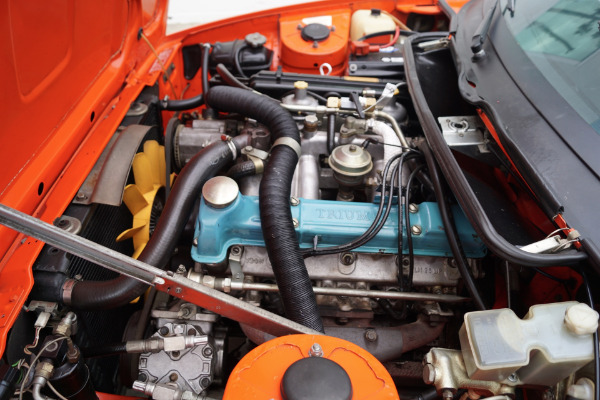 The TR-7's 2.0-liter SOHC four-cylinder engine was matched to twin Stromberg carburetors while the suspension comprised MacPherson struts at the front and a live axle at the rear. 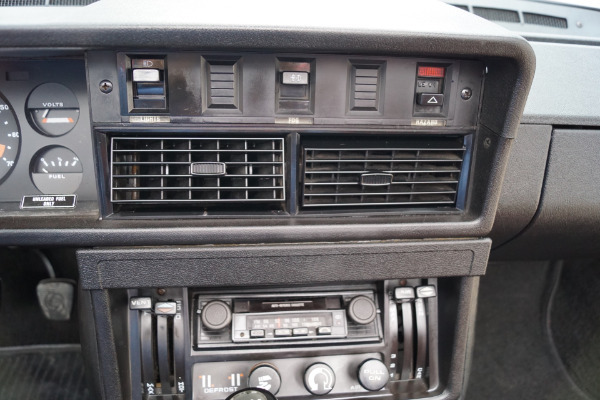 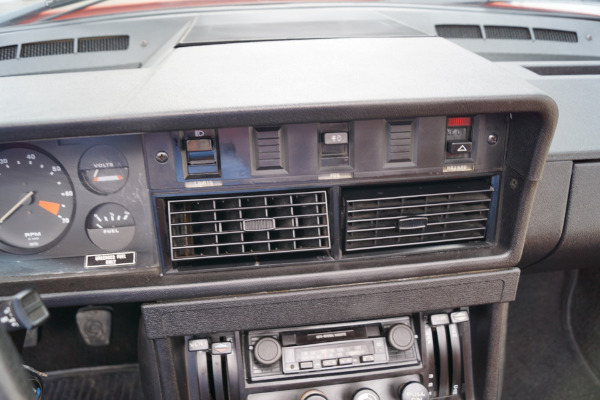 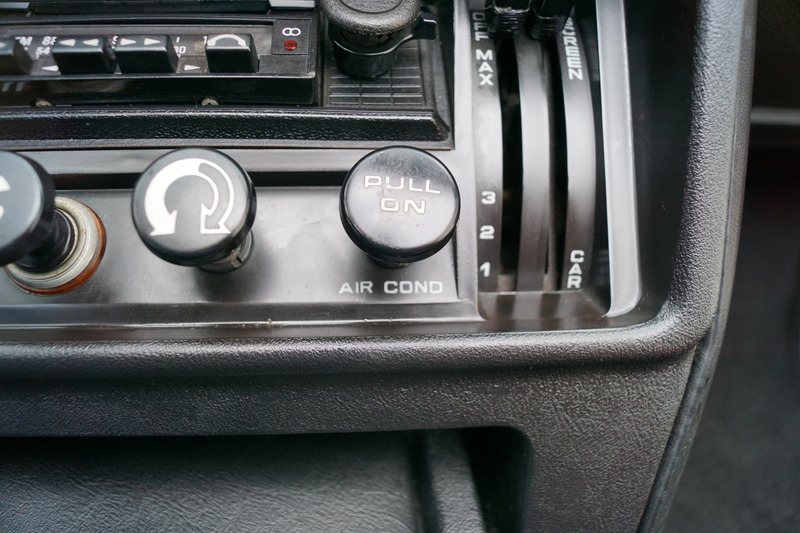 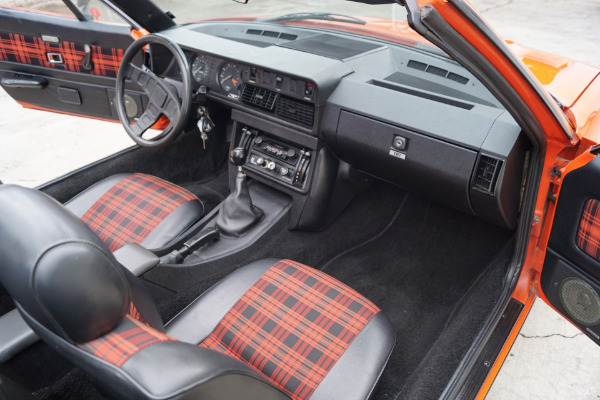 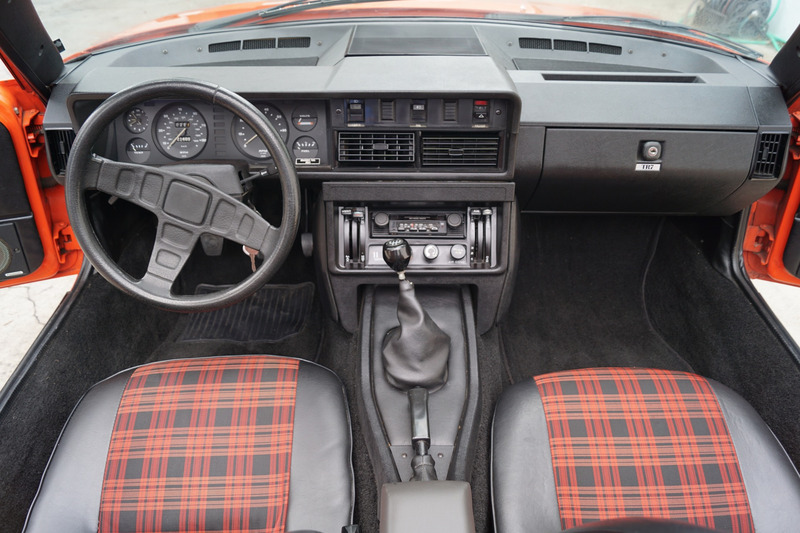 A five-speed manual gearbox and automatic transmission were also options as was air conditioning and a Convertible joined the original Coupe version in 1979 with production ending in 1981. 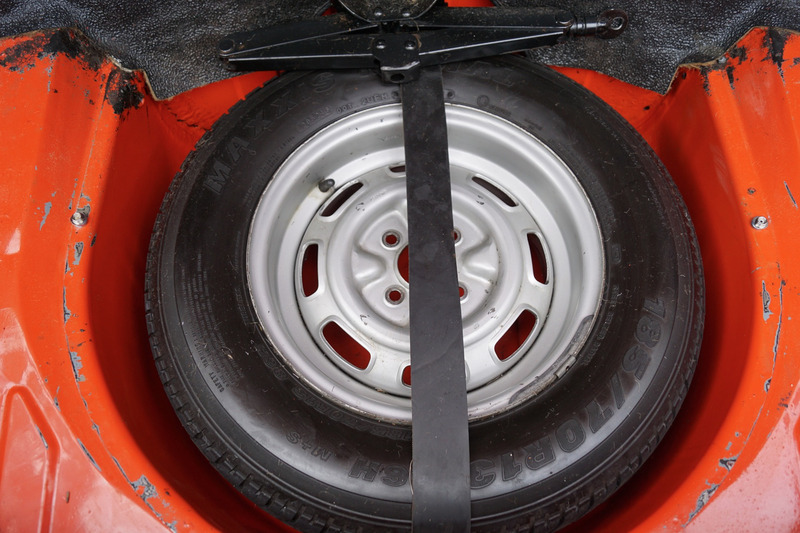 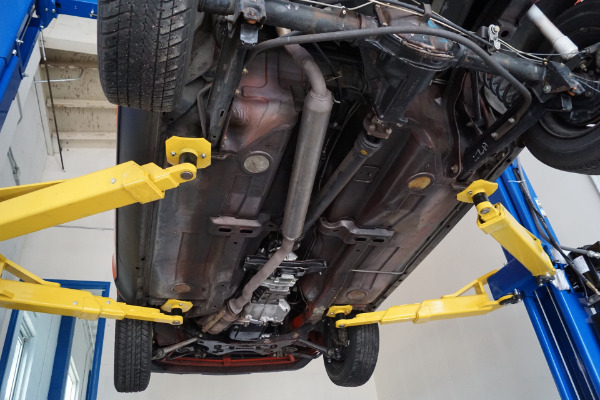 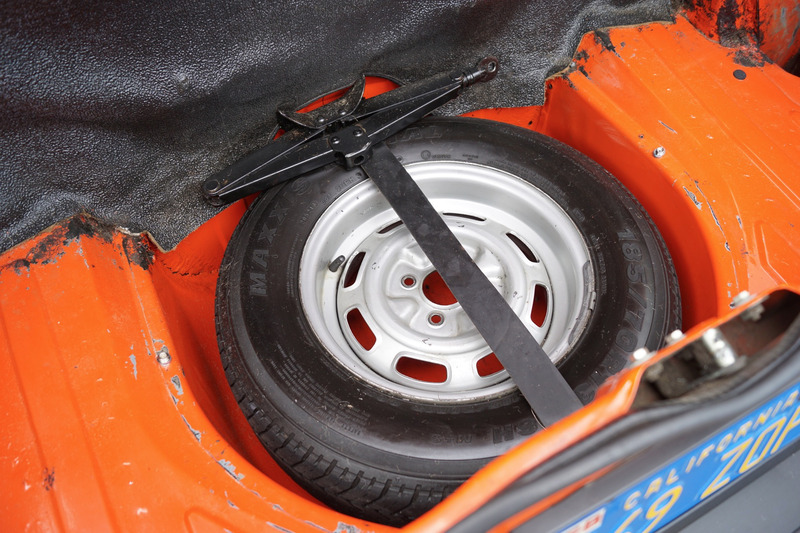 The TR7 was characterized by its 'wedge' shape and commonly advertised as "The Shape of Things to Come" and its bold lines quickly made it the best-selling TR in the brands history. 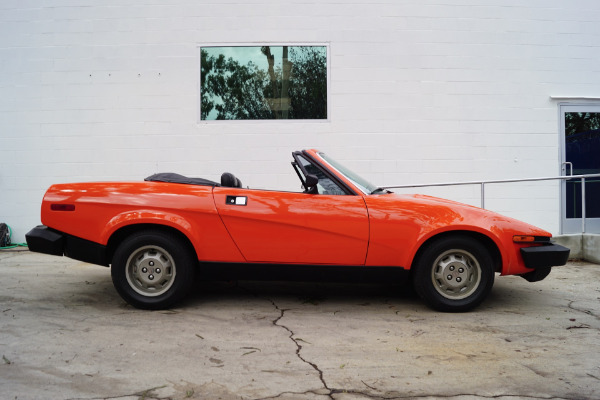 The TR7 existed only in coupe form for its initial four years on the market. 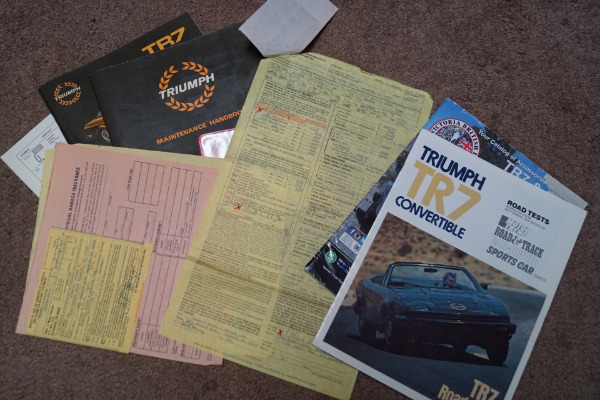 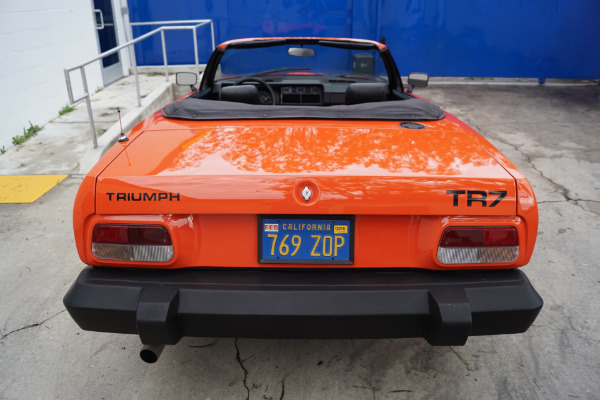 In 1979, looking to revive sales, Triumph introduced a drophead coupe (convertible) variant, which hit United States dealers in July and soon proved to be the most popular model. 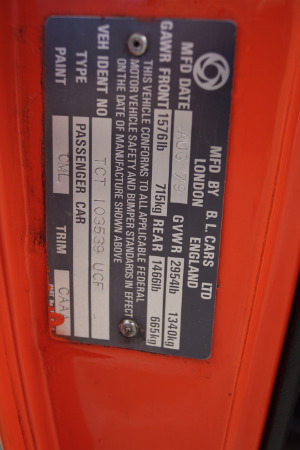 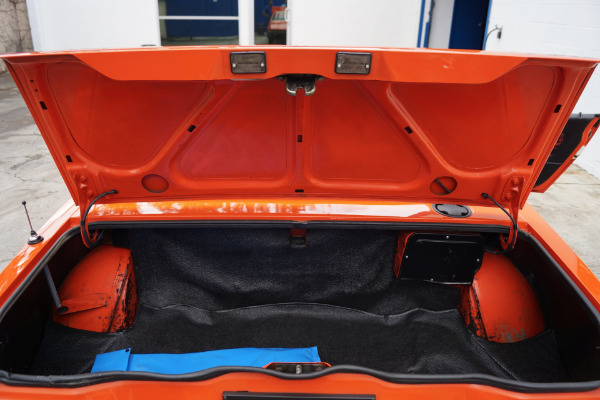 By then the labor strike-related quality problems from the early models had been addressed to, particularly after production of TR7s moved from Speke to Canley in September of 1978. 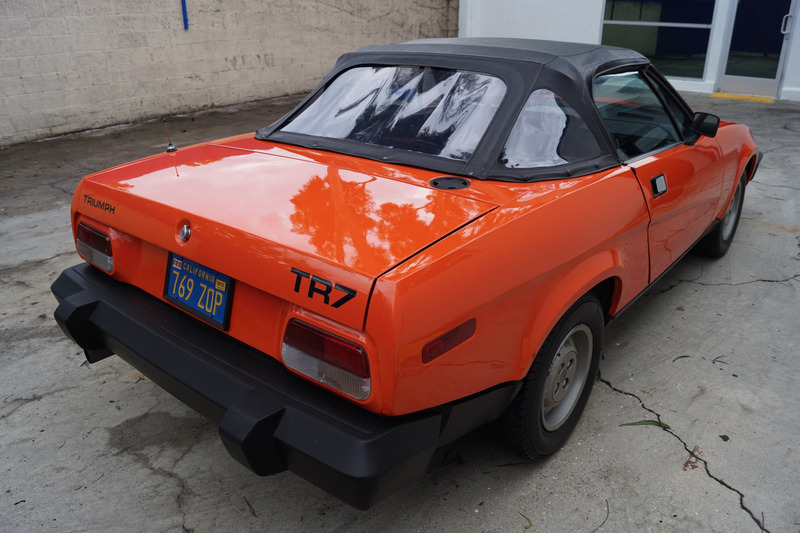 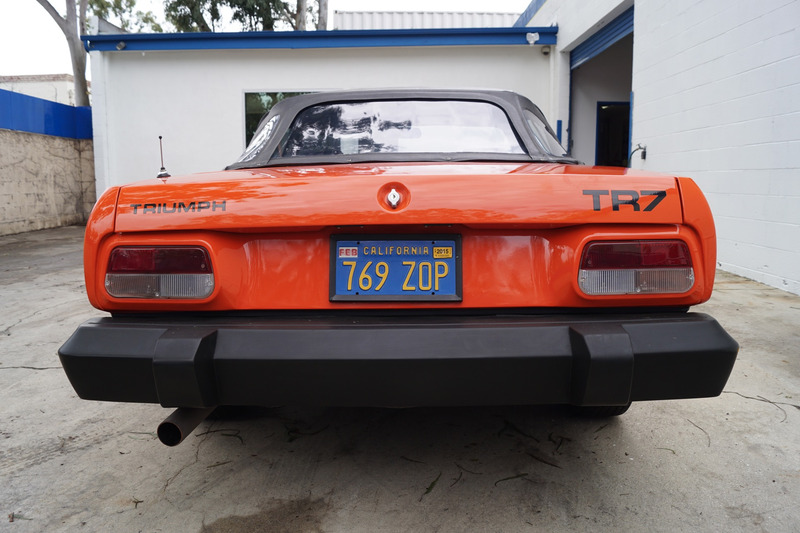 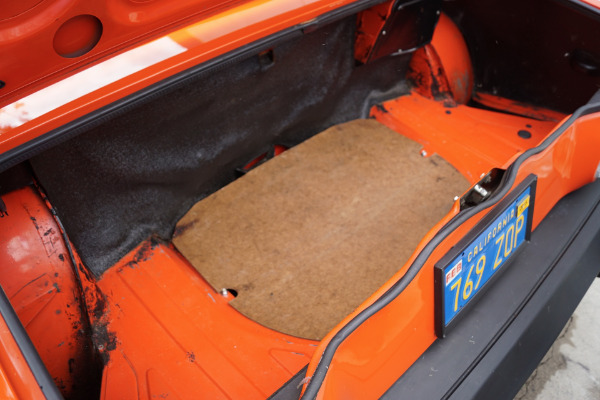 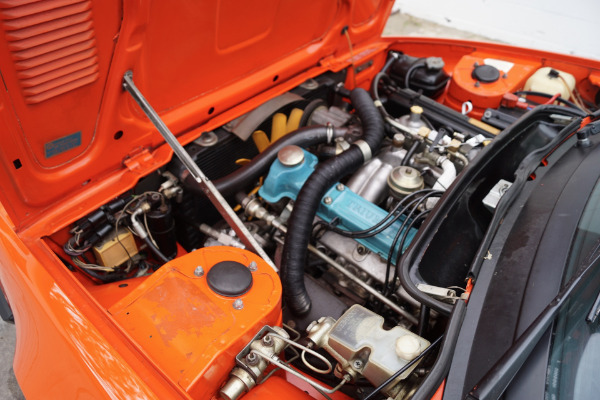 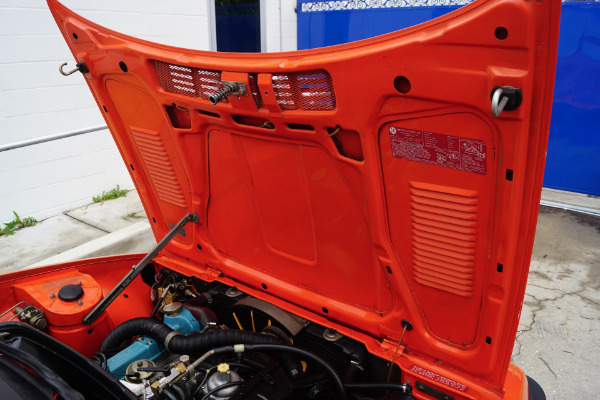 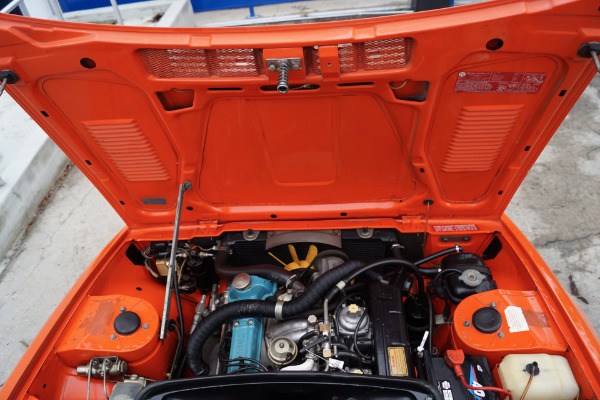 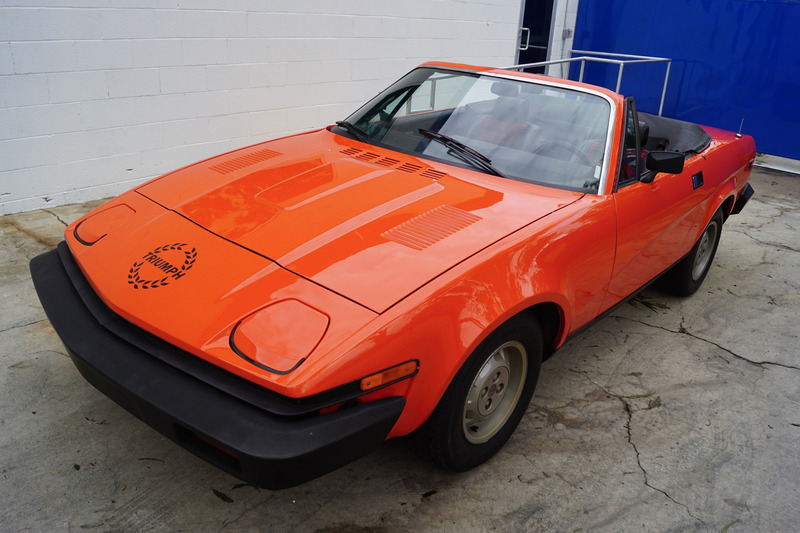 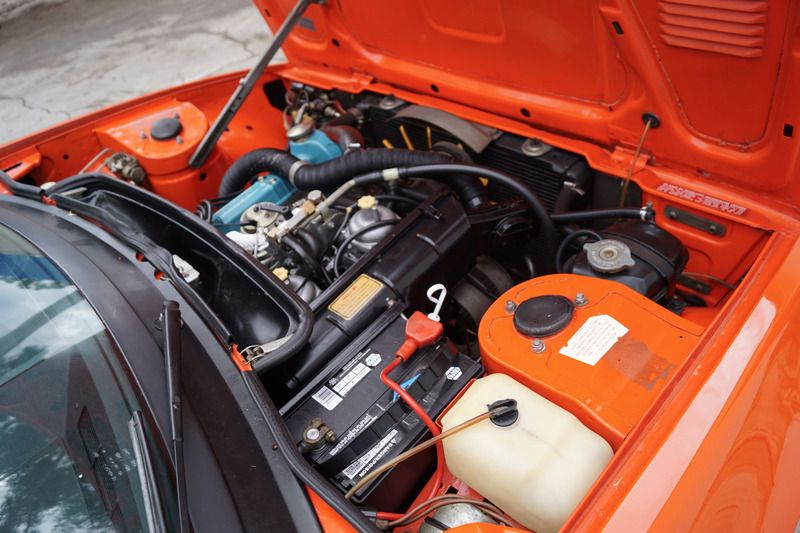 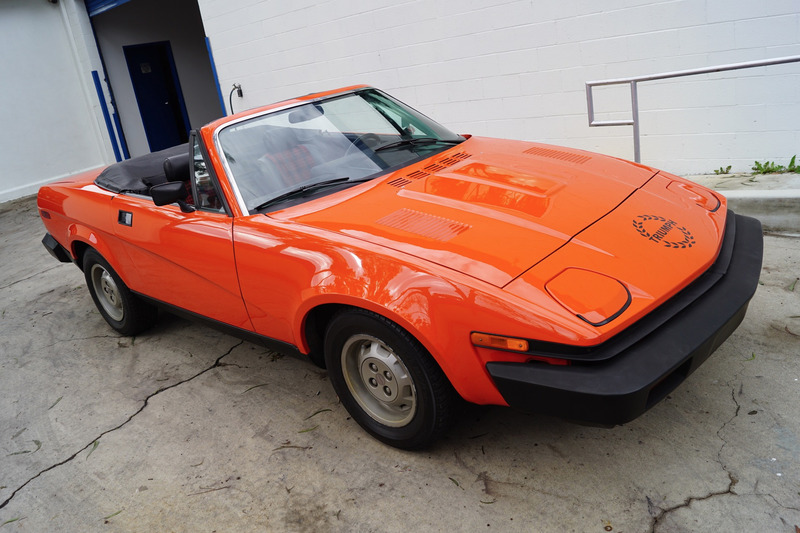 Power for TR7 models came from a 2.0-liter, overhead camshaft four-cylinder engine, rated at 92 horsepower in most U.S. versions, which came fed by a pair of Zenith-Stromberg carburetors. 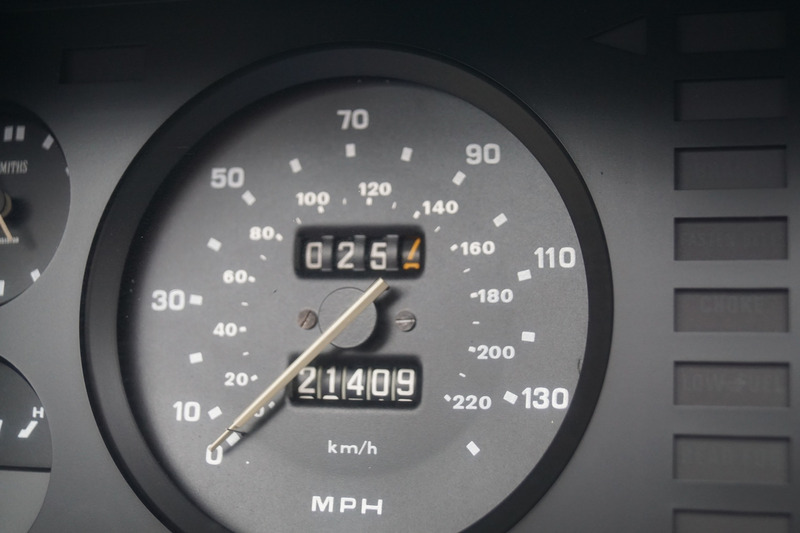 0-60 MPH was achieved in 9.6 seconds on the way to a top speed of 112 MPH. Early reviews praised the TR7 for its nimble handling and in recent years fine examples are beginning to be highly sought after by enthusiasts & collectors. Without a doubt this will prove to be one rare piece of British motoring history in years to come - a beautifully unrestored pristine example of a single southern California owned and registered 1979 Triumph TR7 Convertible with only 21K original miles and the desirable 5 speed manual transmission & rare air conditioning, this is the perfect example for any Triumph enthusiast or simply any classic British sports car lover to add to any prized collection!